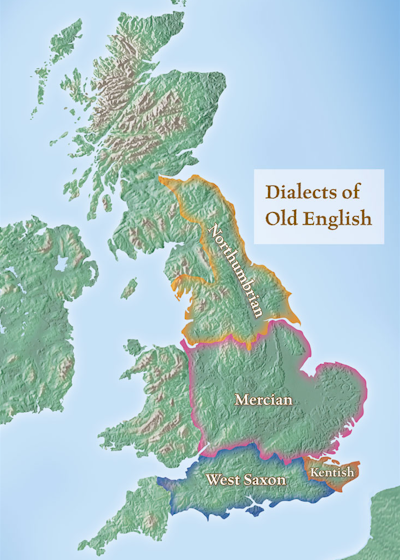 We explore the early Anglo-Saxon kingdoms and their regional Old English dialects. The ‘Saxons’ soon become the ‘English.’ And ‘English’ provides the name of a new nation. During the period of the Anglo-Saxon migrations, the West Germanic tribes of northern Europe continued to fight for power against the Romans and against each other. This period saw the emergence of the High German dialects, the creation of the Frankish Empire, and the decline of the continental Saxons. We explore the linguistic consequences of these events. We then examine many of the Frankish words which passed into French, and then into English. The Anglo-Saxons arrived in the British shores as permanent settlers in the 5th century. They encountered native Britons who spoke Latin and Celtic languages. The two groups soon fought for control of the region we know today as England. We explore this period of ‘lost’ history by examining the few pieces of written and archaeological evidence which survive. 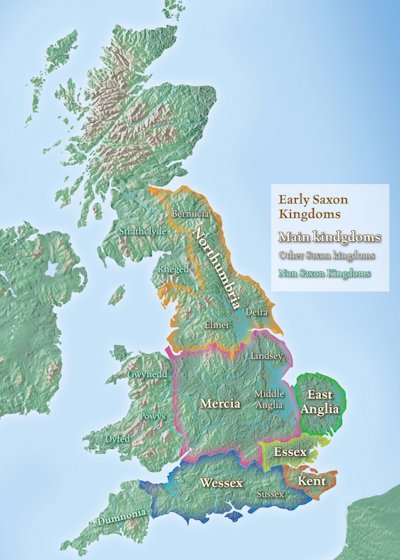 We explore the origins of the Angles, Saxons, Jutes and Frisians in the North Sea region of northern Europe. 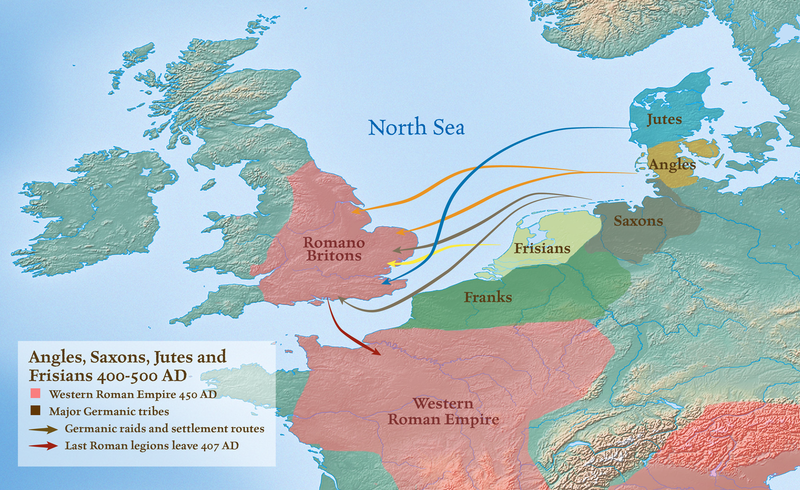 The early raids on the coasts of Britain and Gaul set the stage for the later mass migrations. The similarities between the languages of these respective groups are examined. Parchment books begin to replace papyrus scrolls as the Western Roman Empire crumbles. New Germanic Kingdoms emerge in the west, but Latin remains the dominant language in Western Europe. Latin itself begins to fracture without the Roman educational system to hold it together. Meanwhile, Gothic words begin to filter into early Spanish. 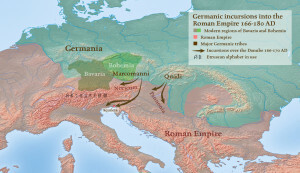 Rome is racked by ‘Imperial Crisis’ while strong Germanic tribes gather along the Rhine and Danube. The Alamanni, Franks, Vandals and Goths rise to power and provide us with many words in modern English. The Goths translate the Bible into their Germanic language. We then compare the Gothic language to Old English. We explore the expansion of Germanic tribes into the Danube region where the Germans encounter the Etruscan alphabet. The Germanic runes develop and provide the first opportunity for the Germanic tribes to write their own language. 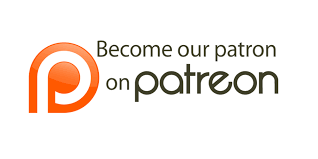 The role of Germanic mythology on modern English is explored. Germanic gods and religious traditions are examined with an emphasis on words and phrases which are still found in modern English. We explore the Germanic languages during the 1st century AD. The society of the early Germans is examined in the context of ‘Germania’ by the Roman historian Tacitus. 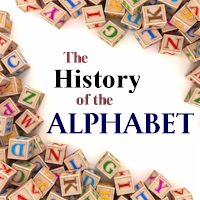 Modern English words originating during this period are also discussed. We look at the grammar of the early Germanic tribes. The decreasing use of inflexions is explored. 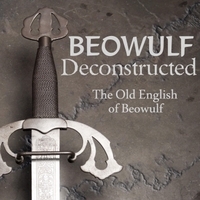 Elements of modern English grammar are identified within the original Germanic language.